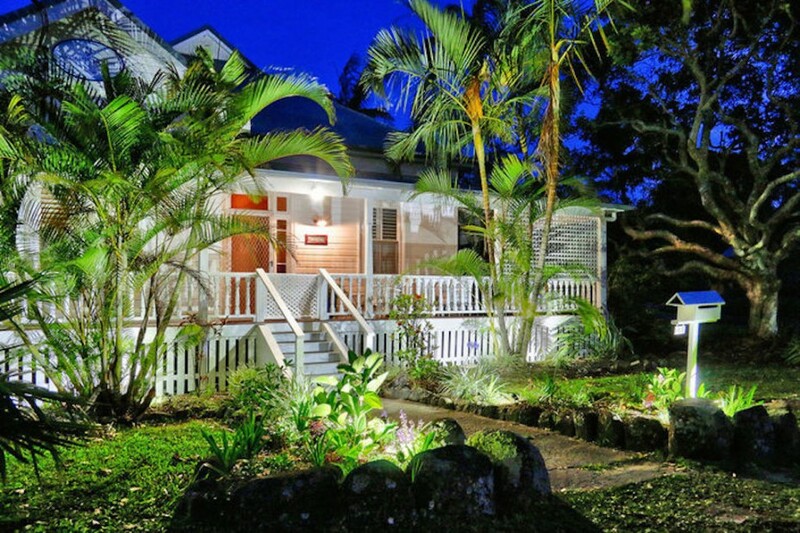 Arcadia Guest House is within walking distance to the Byron Bay town centre and beaches. 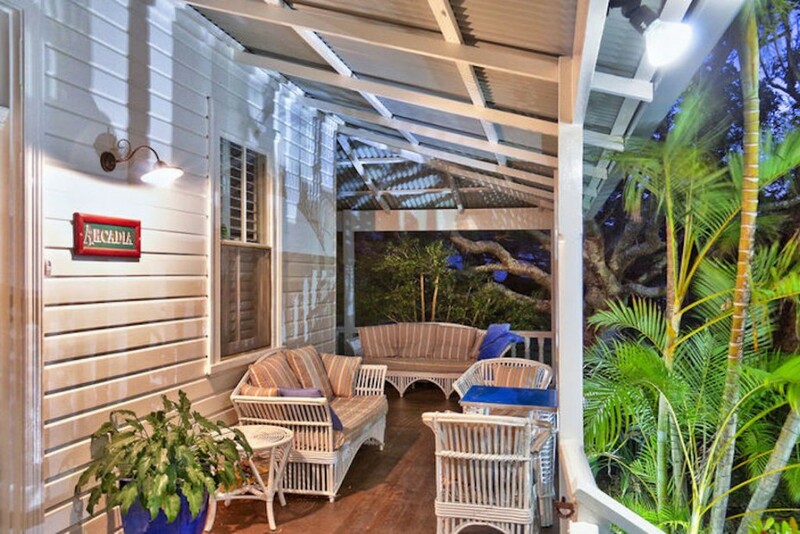 A 5 minute walk to the beach and town, or even quicker on one of the house bicycles, Arcadia is well positioned to provide easy access to all areas and experiences in Byron Bay. 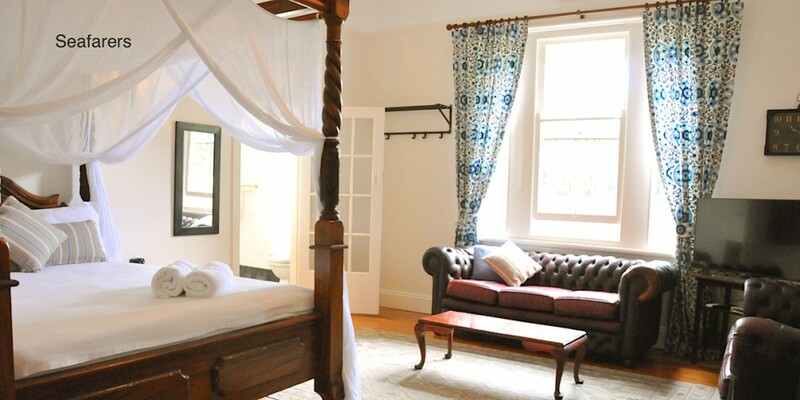 Featuring 6 stylishly redecorated rooms, Arcadia House is always available to book rooms individually or as a whole for family holidays. 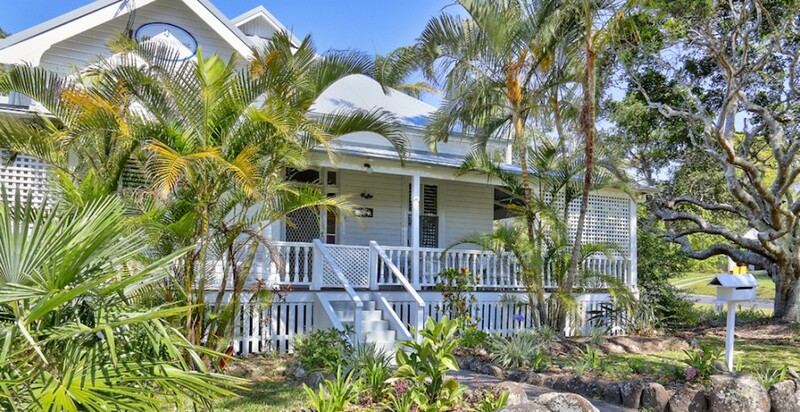 Beachcomber – Spacious room with bay window. Queen size bed, an opening door to the veranda and ensuite with a double headed shower. Tea & coffee making facilities, TV, Free use of bicycles, Free wifi and shared fridge. Cockatoo – Queen bed, TV, Air con. This room opens on to the garden verandah. Tea & coffee making facilities, TV, Free use of bicycles, Free wifi and shared fridge. 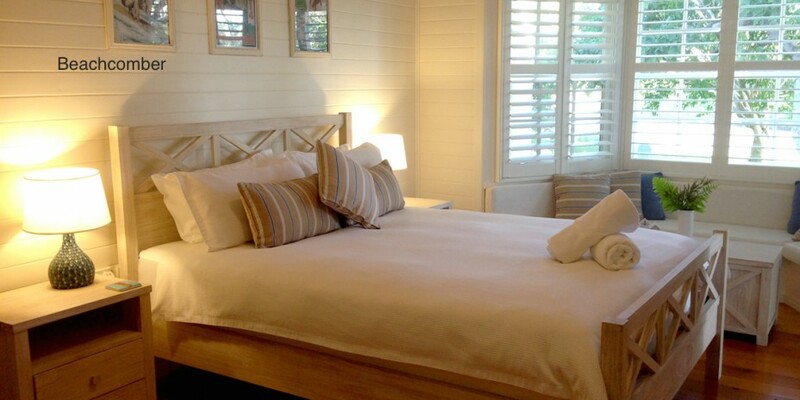 Gone Fishin – A comfortable room with a queen size bed and new ensuite bathroom. Tea & coffee making facilities, TV, Free use of bicycles, Free wifi and shared fridge. 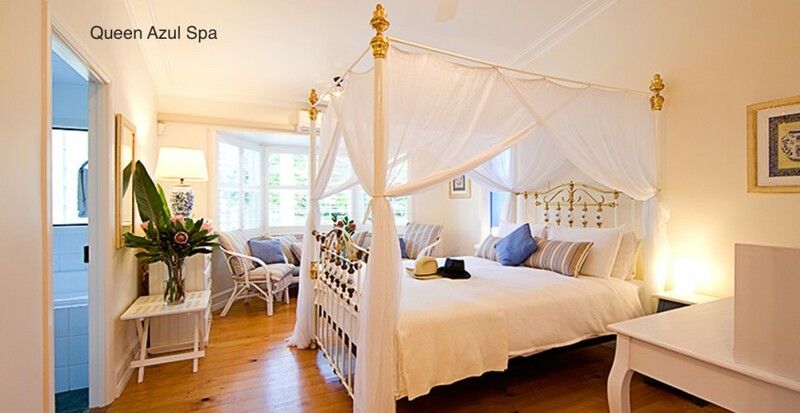 Queen Azul Spa – An elegant room featuring an antique queen size four poster, seating in the bay window this room is completed with shower and spa bath in its ensuite. Tea & coffee making facilities, TV, Free use of bicycles, Free wifi and shared fridge. Seafarers – Spacious room with a generous four poster bed. Sitting area with two leather chesterfields. Shower ensuite. Tea & coffee making facilities, TV, Free use of bicycles, Free wifi and shared fridge. 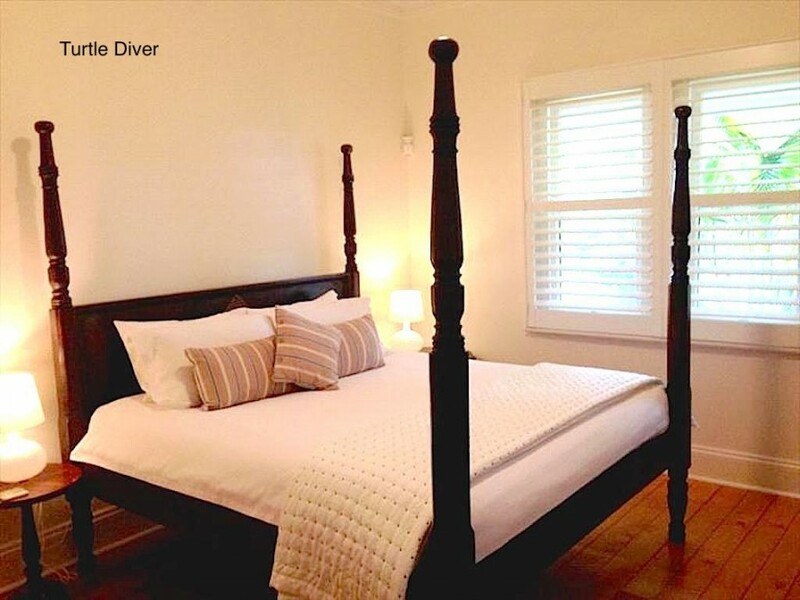 Turtle Diver – An elegant king size four poster bed with shower ensuite. Tea & coffee making facilities, TV, Free use of bicycles, Free wifi and shared fridge. 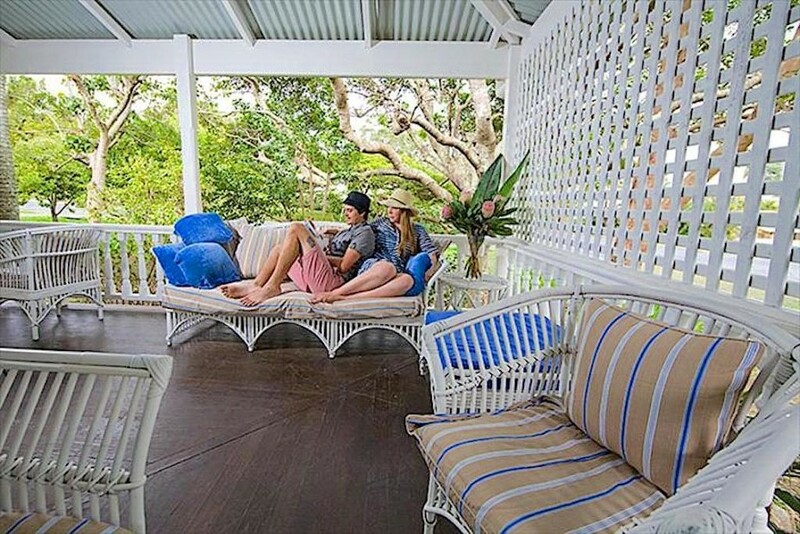 Personalised hospitality with a unique and quite location provides an ideal base for the Byron Bay experience. Please note there is no communal kitchen or lounge area for guests. There are a great number of nearby cafes and restaurants that we can recommend for breakfast, lunch or dinner.